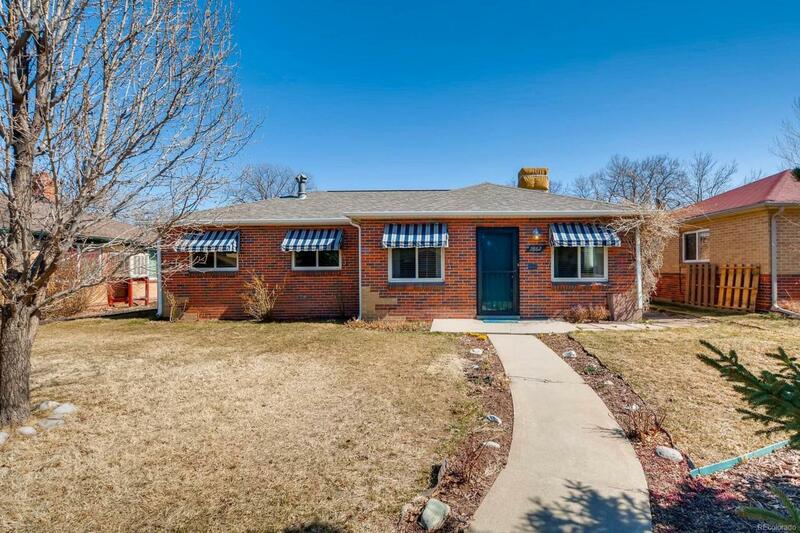 You'll fall in love once you step inside this charming Park Hill gem with two bedrooms and a one car attached garage! Rich hardwood floors extend throughout, from the generous living room into both bedrooms. Bright kitchen offers white cabinets and unique gleaming hardwood countertops highlighted by the tile backsplash. White appliances stay including gas range, dishwasher and microwave. Full hall bath has updated fixtures, pedestal sink and toilet. Imagine relaxing on the covered patio and enjoying the good sized backyard with alley access to the garage. Windows are newer, buyer's home warranty included. Convenient location this one won't last long!